Menchu Garcia Rendueles was born in 1951 in Gijon, Asturias, Spain. She moved to Madrid, Spain in 1980. 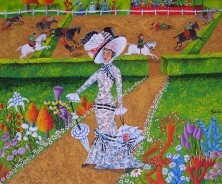 A self-taught artist, she began her artistic career in 1995.